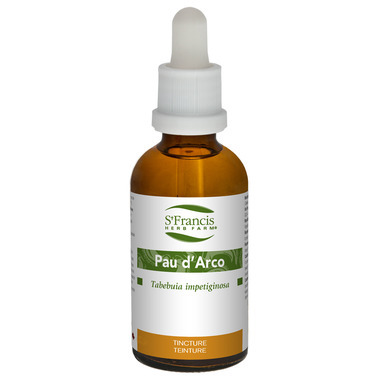 Pau d'Arco is used for fungal ailments such as Candida yeast infections, as well as parasitic infections, boils, wounds, and viral respiratory infectionsm including colds and flu. It is also effective as a tonic and blood builder. Suggested Usage: Adults: Take 0.83-1.66 ml (25-50 drops) 3x daily in a little water on an empty stomach. Cautions and Warnings: Consult a health care practitioner if symptoms worsen or persist and before use if you are taking blood-thinning medications or if you suffer from a bleeding disorder. Contraindications: Do not use if you are pregnant or breastfeeding.